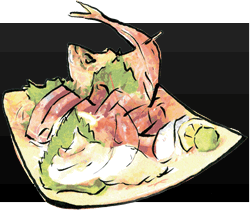 With 30 years in the business, Daizen is a long-established Izakaya that continues to provide customers with fresh and delicious food from Tottori without using pre-packaged ingredients. 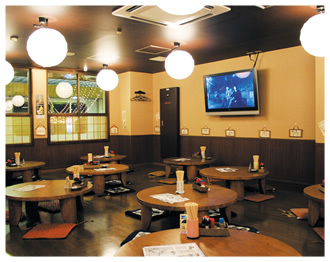 With over 200 varieties of home-style Tottori dishes, and a choice of more than 90 different types of alcohol sourced from all over Japan, Daizen is sure to make your Japanese holiday even more enjoyable. All our fish is freshly caught the same morning!! 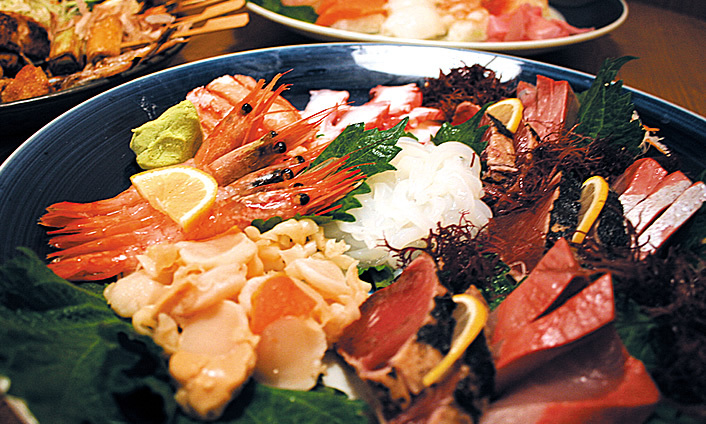 Tottori Prefecture has one of Japan’s leading fishing industries, and there is an abundance of fresh and delicious seafood available here. 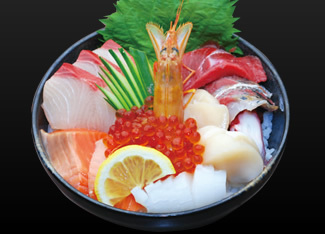 We go out to the fish market every morning and select high quality seafood that was freshly caught the same morning. 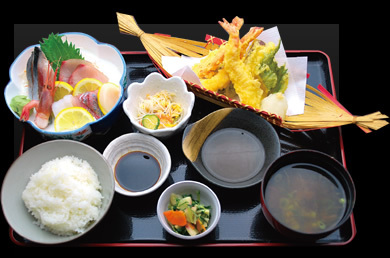 In addition, one of the outstanding features of Japanese cuisine is the way that no effort is spared to make the food look and taste better. 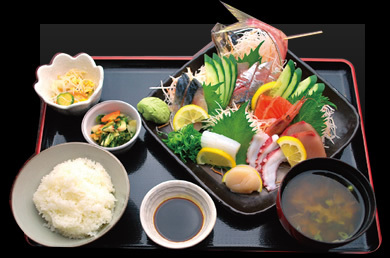 Professional skills and knife work are put to work to cut different types of fish to different thicknesses or give the food a decorative shape. 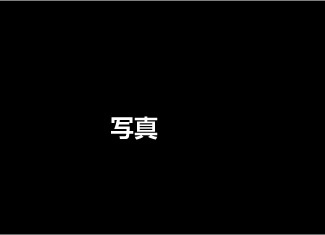 So please enjoy the creative ingenuity of the presentation as well. 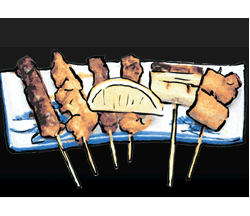 We only use safe and trusted ingredients produced by our own farms or by farmers with whom we have a contract. Lettuce and tomatoes, cabbage and onions - all of our ingredients are grown entirely without the use of agricultural chemicals. Vegetables are grown with painstaking care and attention until they are ready to be harvested and then shipped straight to our restaurant. 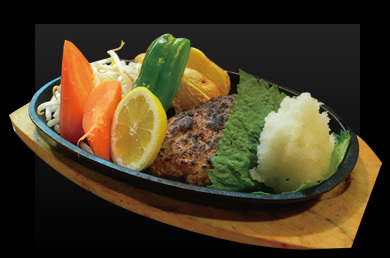 Rice is the staple food of Japan and Daizen uses our own local rice! 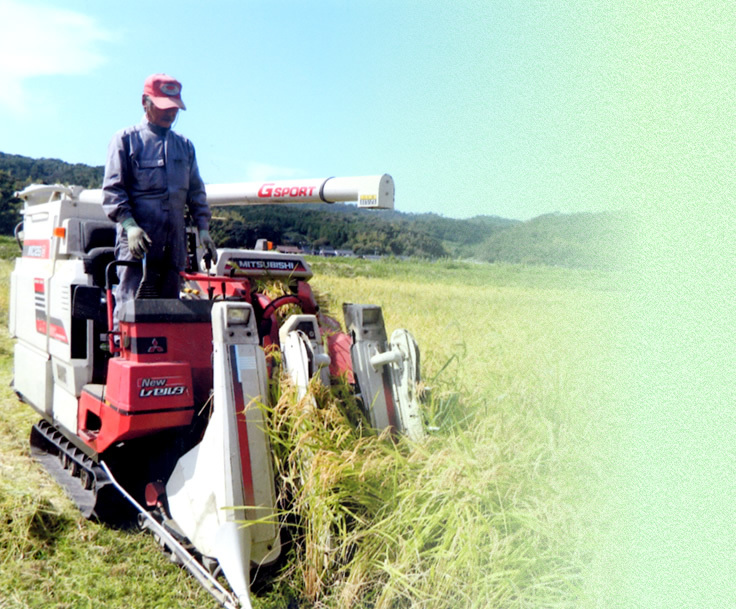 We ensure there is integrity and peace of mind in every grain of rice. 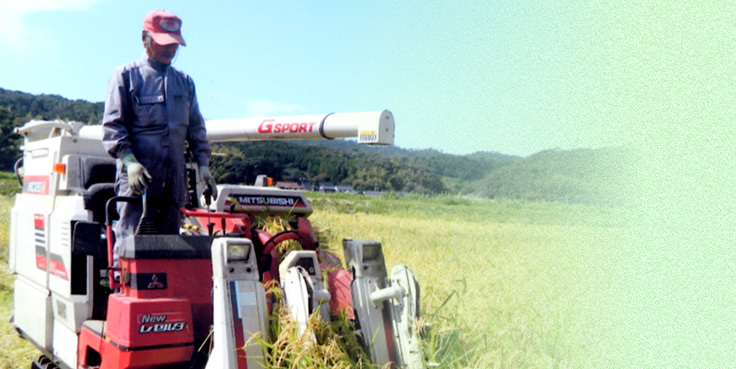 To produce the rice we use at Daizen, we have signed contracts with two farmers in Daizen’s home town of Tottori City, who grow high quality, delicious rice for us every year. These days many people are concerned about food safety, so we think that knowing the faces of our producers and having the ability to supply natural materials does more than anything else to help us provide our customers with peace of mind. 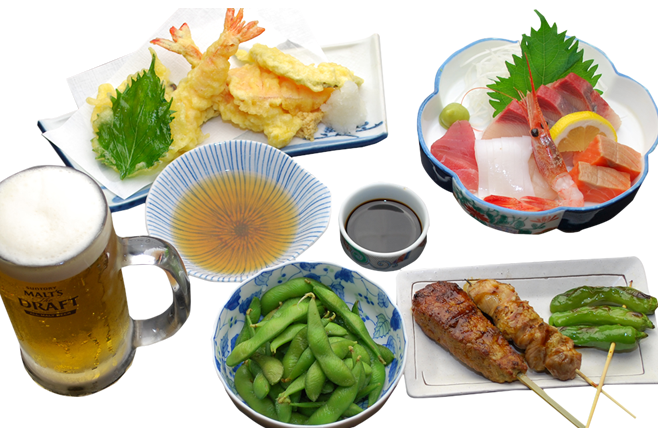 Enjoy the taste of Japanese Izakaya style food with the fresh seafood & tasty vegetables of this great value set. 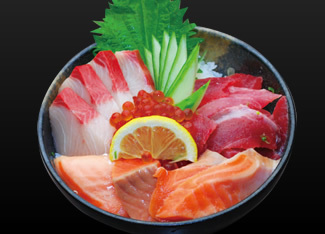 Enjoy the sashimi made from fresh fish. 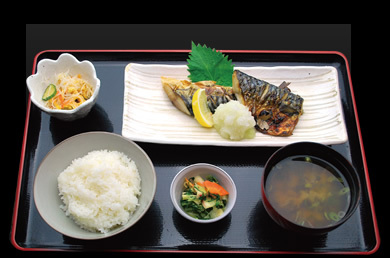 Fatty mackerel is grilled until fragrant and served with grated daikon radish and soy sauce. 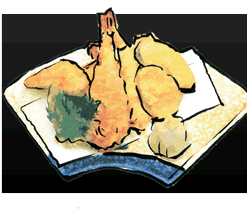 With demi-glace sauce or ponzu sauce mixed with grated daikon radish. 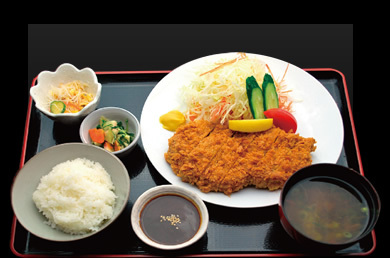 Juicy deep fried pork cutlet made to order and served with a special sauce. 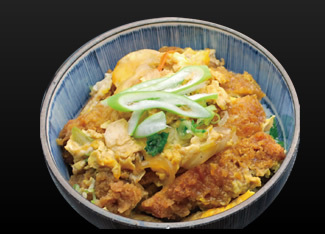 Donburi is a rice bowl where all of the ingredients are served on top of a bowl of rice. 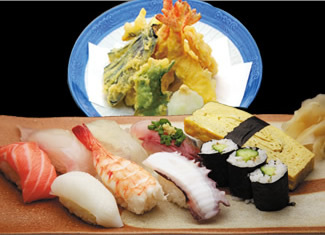 Enjoy eating the arrangement of specially selected seafood. * Contents may change according to the season and the availability of ingredients. 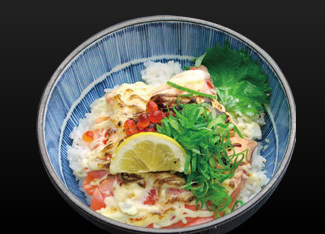 Luxurious rice bowl topped with yellowtail, tuna and salmon, the three treasures of the sea. 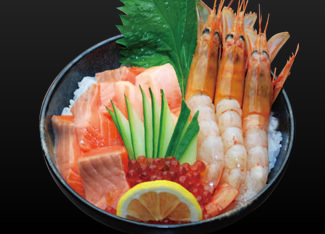 Rice bowl topped with a combination of salmon and red prawns. 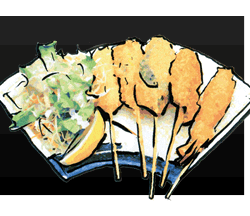 This popular dish is fragrant with the combined flavors of fresh salmon and mayonnaise. 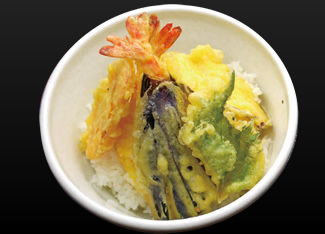 A highly popular rice bowl dish that includes prawn and seasonal vegetables. 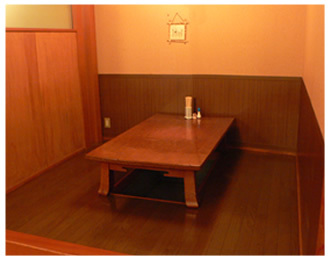 Single Dishes*Prices do not include tax. 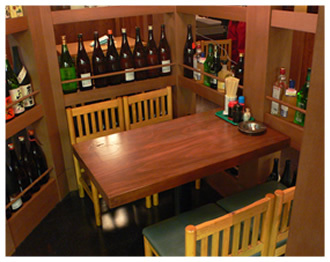 A lineup of classic Japanese izakaya style dishes! 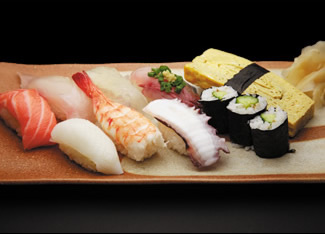 Sushi*Prices do not include tax. 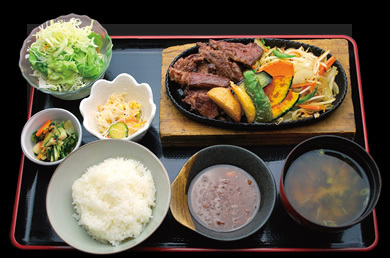 Served with miso soup, small side dishes and pickles. Copyright© TT Emotions,Inc.All Rights Reserved.